At Custom World, we do not use standard sized units. 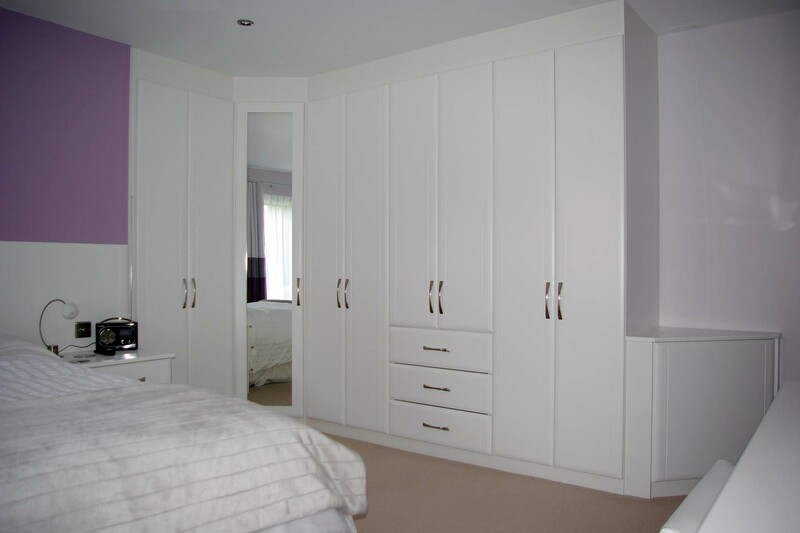 Our fitted bedroom furniture is custom made to fit your room. We make it locally near Bournemouth to whatever size fits your Bedroom. 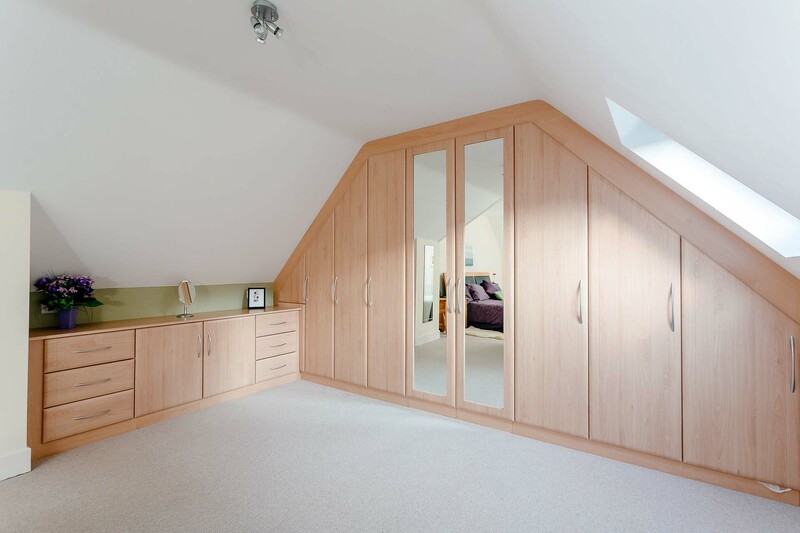 Our bespoke bedroom furniture is totally built in from floor to ceiling. 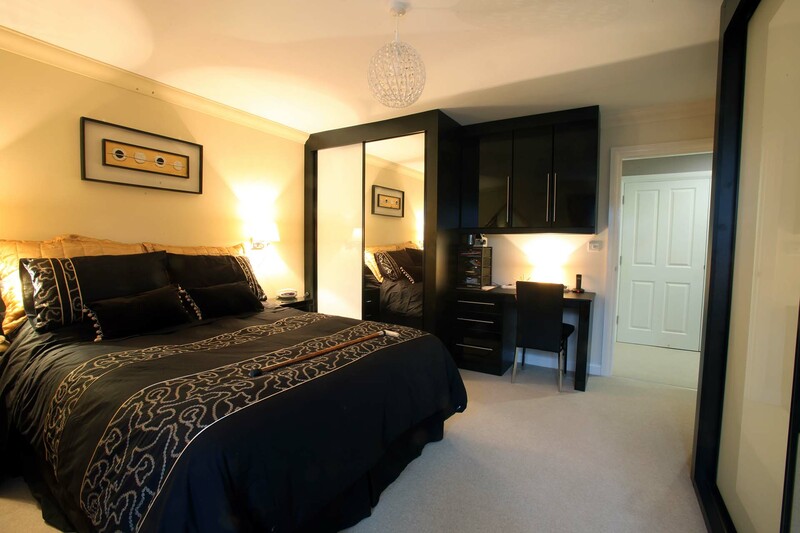 With fitted bedroom furniture you can have gorgeous designer styling. 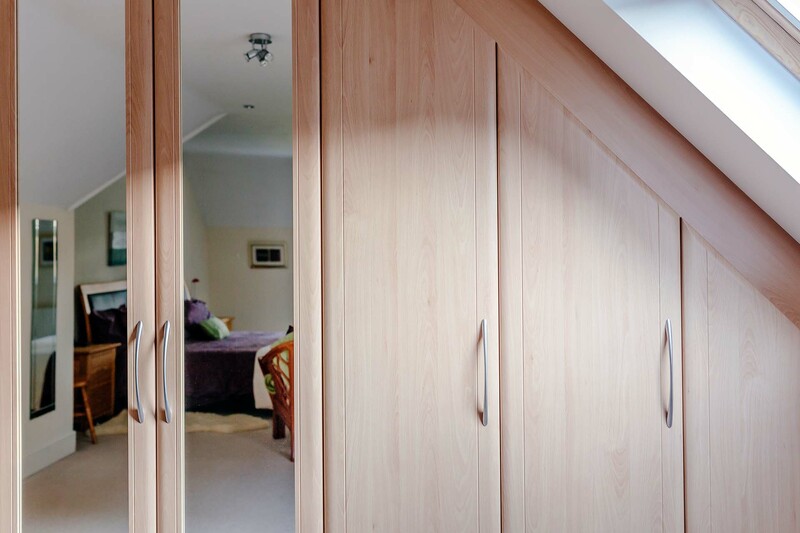 You get all the flexible storage you could ever need with our hinged door wardrobes. Plus they are surprisingly more affordable than you might think. You’ll get stunning wardrobes built in from floor-to-ceiling and wall-to-wall. This provides you with a versatile and flexible storage solution for your home. Each door will be made to your required height and width and are all available in a wide range of styles, colours and designs. Why not visit our showroom or call to book your free design appointment with one of our designers to discuss your bedroom furniture in the relaxing comfort of your own home. Awkward angles in loft spaces or bedrooms in the eaves. Our custom made furniture can be fitted to any size or shape of room, as it is truly bespoke furniture made in our local factory. Ranging from contemporary to modern classic, we stock a wide range of styles, colours and designs. Why not visit our showroom or call to book your free design appointment with one of our designers to discuss your fitted bedroom furniture in the relaxing comfort of your own home. 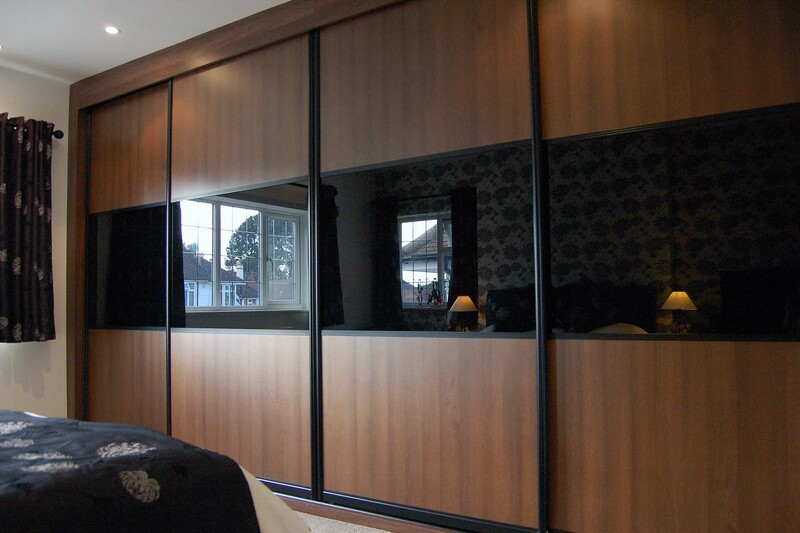 Hinged door wardrobes and sliding door wardrobes are custom made to any size or ceiling height you have. 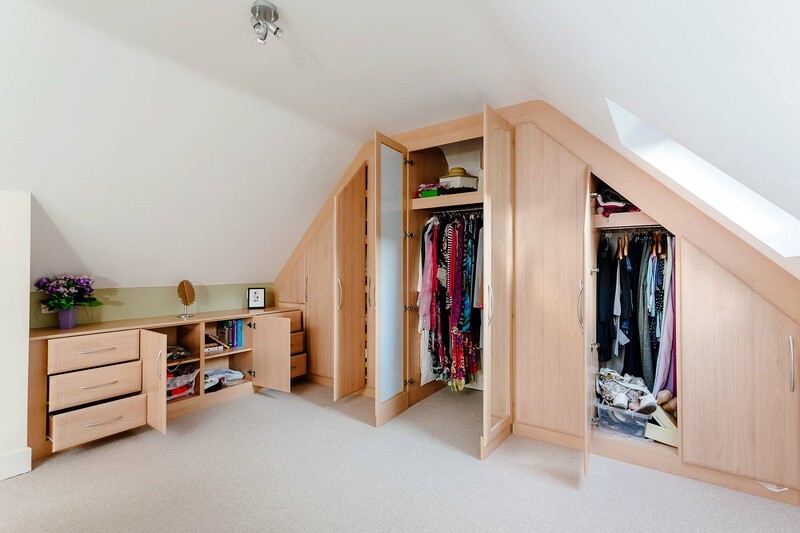 Whatever style you choose, you get wardrobes that look great, but offer practicality and functionality too. 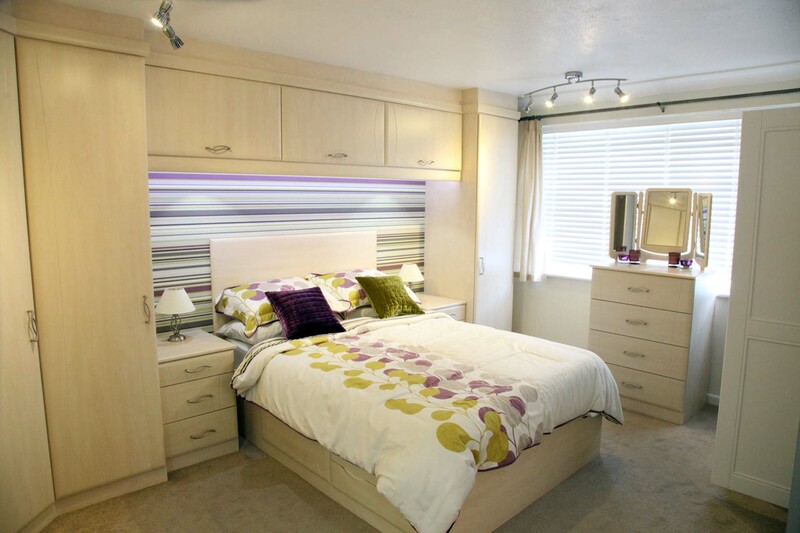 A modern classic style of bedroom in our Contour range in white ash.